For all you Montgomery County, MD residents you can get some free mulch at the Solid Waste Transfer Station in Shady Grove, or the location in Poolesville and Silver Spring, MD. All the brush and tree branches that you put out for pickup gets ground up and you can take it free. I've gotten some a couple of times and it is pretty good for some uses. Generally the quality is pretty good but sometimes you see bits of the brown paper bags people use in it and the size of the chips is varied. I wouldn't use it for places where lots of people will see it but if you need a lot of mulch it can be good. Take as much as you want (there are huge piles of it) but you have to bring your own tools and bags to put it in. use as a cover material on walkways or other areas where you want to control vegetation. 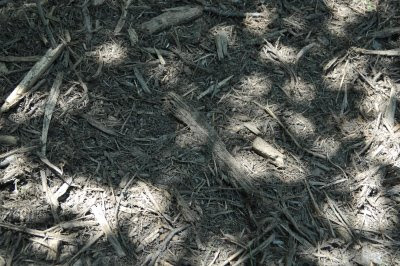 They also have some warnings: Free mulch is "green" mulch and must be aged for at least 6-8 months before it can be used for your flowers, vegetables, or other plants with tender or shallow root systems. It can contain allergens, termites, carpenter ants, etc.